Although a rare occurrence, a severe vitamin E deficiency usually results in poor nerve conduction causing neurological problems. 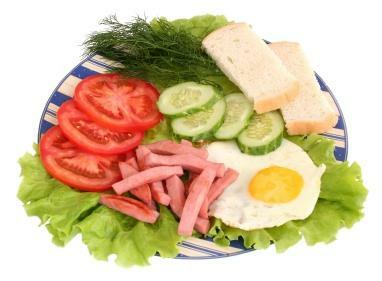 A deficiency of vitamin E is very rarely caused from a poor diet alone. This is because vitamin E is readily available in many food sources and the recommended nutritional requirement of it is relatively low. Measured in international units (IUs), the body needs at least 200 IUs of vitamin E each day. The United States RDA equivalent for adults is 15 milligrams per day. People born with an inherited rare disorder that results in the inability to metabolize fat properly. This disorder, known as abetalipoproteinemia, causes very poor absorption of vitamin E and dietary fat. Infants that are born prematurely that have a birth weight of less them three pounds four ounces. In order for the body to absorb vitamin E from the gastrointestinal tract there has to be some dietary fat present. The following are a few of the diseases and intestinal disorders that cause the malabsorption of vitamin E.
Cystic fibrosis affects the lungs, liver, pancreas and gastrointestinal tract. This inherited disease affects digestion and the absorption of vitamin E and other nutrients. Crohn's disease affects the small intestine and often results in the body's inability to absorb vitamin E.
Cholestasis is an obstruction to the flow of bile. This disease decreases the amount of bile salts that the liver produces which are needed by the body for fat absorption. Pancreatitis which is inflammation of the pancreas. Patients born with this rare disorder may develop a vitamin E deficiency. When this occurs they generally experience problems with muscle weakness, poor nerve impulse transmission and retina degeneration that may lead to blindness. Infants that are born prematurely with low birth weights have a very low amount of stored vitamin E in their body. The amount that is stored is quickly used as the infant grows. Due to the premature birth, the infant's intestinal tract is not able to absorb sufficient amounts of vitamin E. As the vitamin deficiency increases, there is not enough vitamin E left to protect the body against the effects of oxidation and cell membranes are destroyed. The destruction of the membranes results in the bursting of red blood cells causing hemolytic anemia to develop. To prevent hemolytic anemia from developing, premature infants are given special supplements and formulas that contain vitamin E.
The symptoms of a vitamin E deficiency vary based on the severity of the deficiency and its cause. Another symptom of a deficiency of vitamin E is a decline in the cognitive functions in children with cystic fibrosis. These children often have problems with reading and fall behind in school. Anyone with a deficiency of vitamin E that is severe for a long period of time may develop dementia, cardiac arrhythmia, the inability to walk and complete blindness. Even though a deficiency of vitamin E based on diet alone is extremely rare, the following groups of people are considered at a higher risk for developing a deficiency. If you fall into any of these groups, you may want to speak with your medical practitioner to find out if vitamin E needs to be supplemented in your diet. The effects of a vitamin E deficiency can be devastating. However, if it has not progressed to a late stage deficiency, the progression can be stopped and even reversed.